This week’s game spotlight is Hexavoid 2 by Nanovation and FabMika Games. This sequel to 2016’s hit Hexavoid has been featured in the ‘Best New Games We Love’ category across the App Store in the US and abroad. It’s also been featured by Apple in multiple countries including China, UK, France, Australia, Canada, Russia, South Korea, Germany, Italy, Spain, and the Netherlands. The game is also ranked as one of the Top 100 games in the action category too. Hexavoid 2 is the sequel to 2016’s hit game, Hexavoid. Similar to the original, players get to guide a spaceship through various hostile intergalactic worlds. The goal is simple: Try to stay alive. In the game, players have to carefully steer their space craft to avoid dangerous obstacles. To survive you have to break through barriers, dodge rotating traps, lasers, and other shooting ships. You can also collect gems for points and cool power-ups for an edge against your enemies. There’s an endless ‘Impossible World’ that you can unlock that’s a lot of fun as well. This second installment in the Hexavoid series definitely takes things up a notch. Hexavoid 2 features a sleeker minimalist graphic style with a fresh retro sci-fi theme. There are 25 challenging stages to complete. Plus an adrenaline-fueled techno beat soundtrack. As players explore each level, they’ll encounter an endless array of rigged traps and armed enemies. 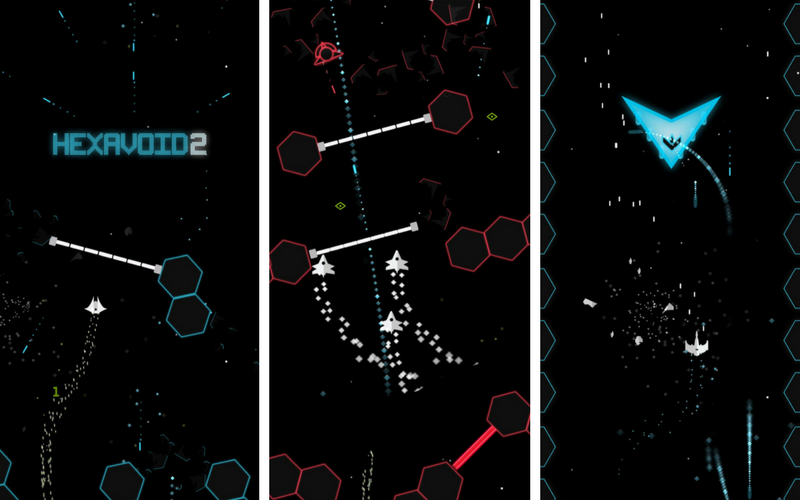 Hexavoid 2 also includes a variety of spaceships and upgrades with the ability to boost scoring potential. Choose from over a dozen different ships from the agile Aquila to the Falcon and the powerful Harpia craft. If you’re a fan of the original Hexavoid or simply love space shooters, Hexavoid 2 is a must-play. Hexavoid 2 is now available for download on iOS. We love to see our customers find success with their games. Congratulations to the teams at Nanovation and FabMika Games on their recent hit. To learn more about the top games built with our game development software, check out our All-Stars Showcase. Hey this app is so good!!! !